Last night I watched a wonderful short film called Hollywood My Home Town from comedic actor Ken Murray. When he first arrived in Hollywood in 1927 from his hometown of Kingston, New York. He explained at the beginning of the film that instead of sending postcards of Hollywood back to his family, he instead purchased a 16mm camera, filmed Hollywood stars many he didn’t even know at the time and sent the resulting film back to his family. The result are charming views of the real life behind the scenes of the stars of the golden age of movies. Not staged like the movie tones he asked actors he knew and didn’t to take part in his home movies. To me it is worth seeing for so many reasons. To see how they were back stage, on the lot, on location and vacation was a wonder. My favorite section was the part in 1927 seeing the trolley tracks down Hollywood Blvd is so cool. (Yes, there was a trolley in Los Angeles I kind of wish it was still there) Also to see people like Myrna Loy when they are young and just starting out was a bit of thrill for a fan like me. 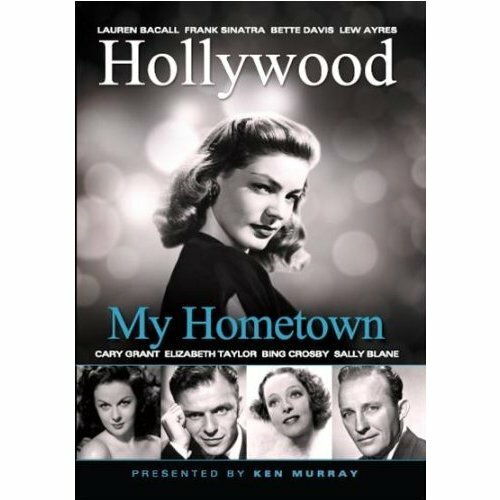 This entry was posted in Hollywood My Home Town, Ken Murray, movie, movies, Myrna Loy, Uncategorized by rithebard. Bookmark the permalink. I saw that short a while back. But then again I have to tell you that it’s been a while since I even thought of Ken Murray. Makes me feel old that I know who he is. LOL! !